As if one Lyme-causing bacterium wasn’t tricky enough – what with its multiple forms stimulating an array of symptoms that easily mimic other conditions – it seems there’s another microbe capable of triggering the same disease. 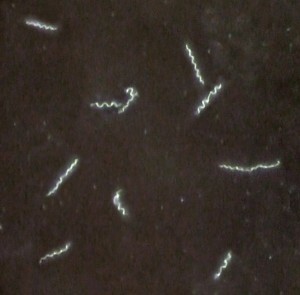 Meet Borrelia mayonii, named after the Mayo Clinic, where researchers first became aware of the species. The finding was published recently in Lancet Infectious Diseases. Where did it come from? They’re not yet sure. It may be a mutation of B. burgdorferi. It may be that it only recently came into contact with humans. It’s just too soon to know. What we do know is that the disease triggered by B. mayonii looks a bit different than classic Lyme disease. Instead of the telltale bull’s-eye pattern associated with B. burgdorferi, rashes on these patients were diffuse or spotty. In addition to the fever, headache, rash and neck pain that accompanies the usual form of Lyme disease, patients who had contracted the new species of bacteria also experienced nausea and vomiting. “This organism doesn’t behave completely like the Lyme disease that we all know,” says [lead author Dr. Bobbi] Pritt. There were other odd symptoms. A child was nearly impossible to wake up from sleep. An adult had trouble with vision, and was seeing double. Two patients were hospitalized. Pritt says all have now recovered, except for one with continued arthritis. 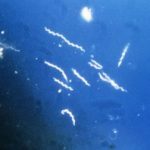 You have to wonder if this newly identified bacterium may be another part of the puzzle of Lyme’s spread. Cases in the northeast have increased more than 300% over the past two-plus decades, according to a report released last year by the Centers for Disease Control. More cases are turning up further south and west. High-risk counties were found in 17 states, ranging from Maine to Minnesota, Virginia to Iowa. Yet some believe that because of underreporting, overall rates of disease may be much higher than the 300,000 cases the CDC says occur every year – as many as 3 million each year, according to Dr. Keith Clay, a professor of biology at the Indiana University. They may have other bacterial, parasitic and viral organisms which were also transmitted with the tick bite. Imbalances in the immune system are very common, as are hormonal, thyroid and adrenal depletion, severe energy compromise, environmental poisons such as Mycotoxins, or heavy metals in the body such as mercury, arsenic, cadmium or lead. Oftentimes intestinal problems such as bloating, pain and food sensitivities make it difficult to eat nutritious foods. The essential combination of conventional and alternative therapies coupled with individualized testing and treatment has allowed me to help many patients regain their health. This may involve homeopathy, nutritional support, IV therapies, bioidentical hormone replacement, herbal therapies, and acupuncture, in addition to conventional medications and antibiotics. 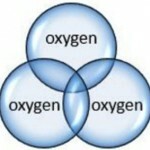 The specific treatment, as ever, depends on the individual. And new possibilities for treatment are always emerging – as suggested by research published late last year in the European Journal of Microbiology and Immunology. 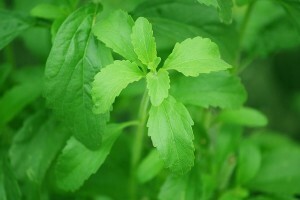 For some years now, science has suggested that compounds in stevia may have antimicrobial qualities – in general or against specific strains of bacteria. The current study looked specifically at the action of whole leaf extract against B. burgdorferi in its various forms as compared with a few antibiotics commonly used to treat Lyme. The whole leaf stevia extract performed better. Note that this doesn’t mean go out and consume a bunch of stevia to help you heal from Lyme. The study says nothing of the sort. It merely paves the way for future research. And much research remains to be done. Still, such studies stir hope of even more natural, non-toxic therapies to help patients struggling with such a difficult disease.